French antiquaire and interior designer Madeleine Castaing is the ultimate Paris design inspiration and insider. Her quirky and highly original style has become a cult favorite with top designers and decorating insiders once more. For many years, in Paris, Madeleine Castaing was part of my happy daily routine. 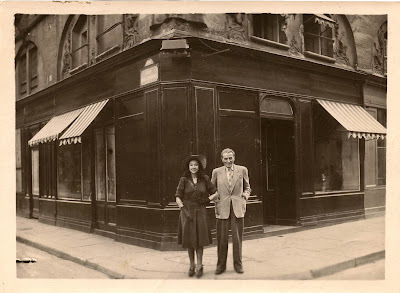 As I marched along the rue Jacob from my apartment, I’d come upon her corner antique shop. 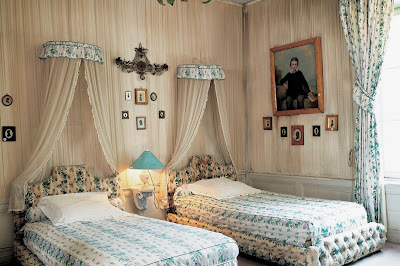 Beyond the Napoleon III chairs and a swooping green velvet chaise, the sweet and almost childlike yet elegant face of Madeline Castaing, with its cloche of dark brown hair (wig, actually), two furry fringes of black false eyelashes, and vivid red lipstick was always a surprise and a jolt of nostalgia. 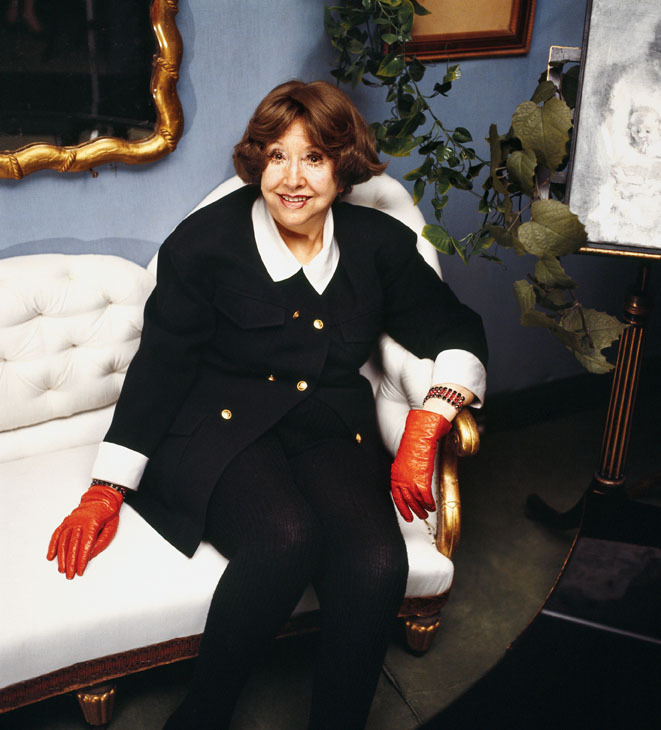 Tucked into a comfortable chair, red gloves, perhaps, on her attenuated fingers, she quietly, in a wisp of a voice, greeted familiar visitors to her iconic Left Bank antique shop for many years. 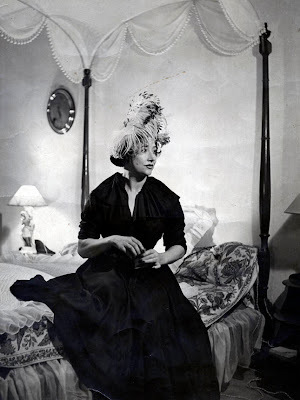 But who was Madeline Castaing, and why is she so revered and eternally stylish? Emily’s book is a magnum opus. At 272 pages, it’s fat and juicy and colorful. The research and dept of information are impression. With hundreds of full-page color images, it ‘s essential for the design library of designers, design students and Francophiles. 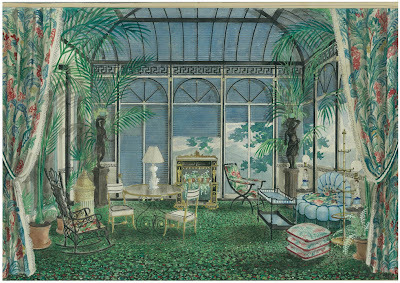 Madeleine Castaing (1894-1992) was a prominent antiquaire and interior decorator in Paris for more than fifty years. She reigned supreme at her shop on the corner of rue Bonaparte and rue Jacob (now a chic and popular Laduree patisserie/tea room) and was legendary both for her style and her reluctance to actually sell any of the furniture, art, decorative objects and paintings in her highly original gallery. It’s all spelled out on the pages of ‘The World of Madeleine Castaing’. 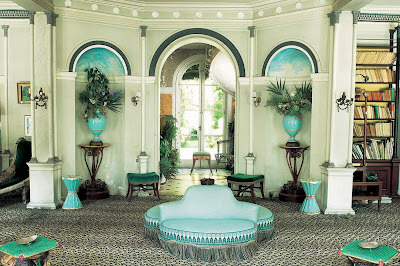 Castaing's neoclassical taste in color and decor were counterbalanced with her consistently with-it, glamorous appearance even into her late 90s. But just a decade or two ago, design and style seemed to have left her behind. 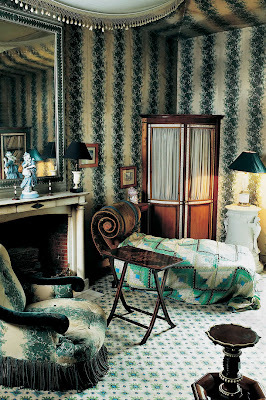 Castaing’s life-long preference for cozy Napoleon III furnishings, her florid carpets, the decorative floral and striped wallpaper and her distinctive 18th century English furniture seemed a little dowdy and dated. 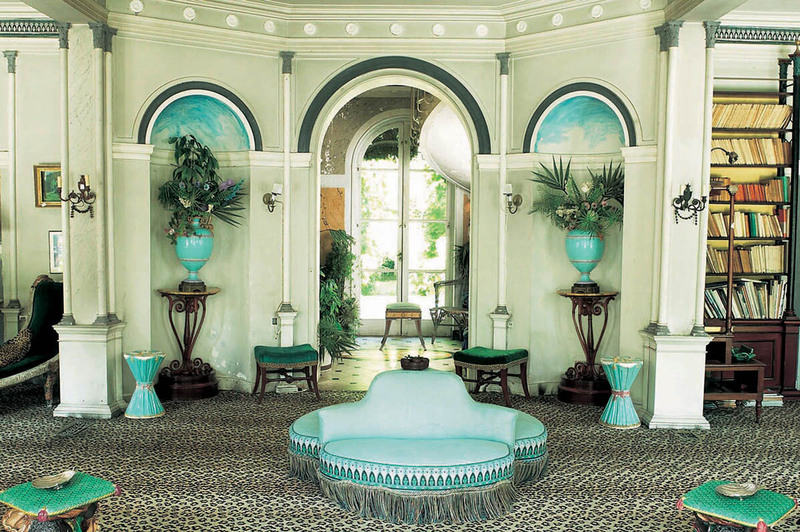 Still, she was a heroine and a trendsetter to leading decorators like Jacques Grange, a protégé, and to historians and collectors of art and design. 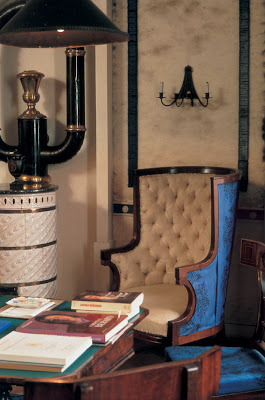 Now, Castaing is the height of chic. 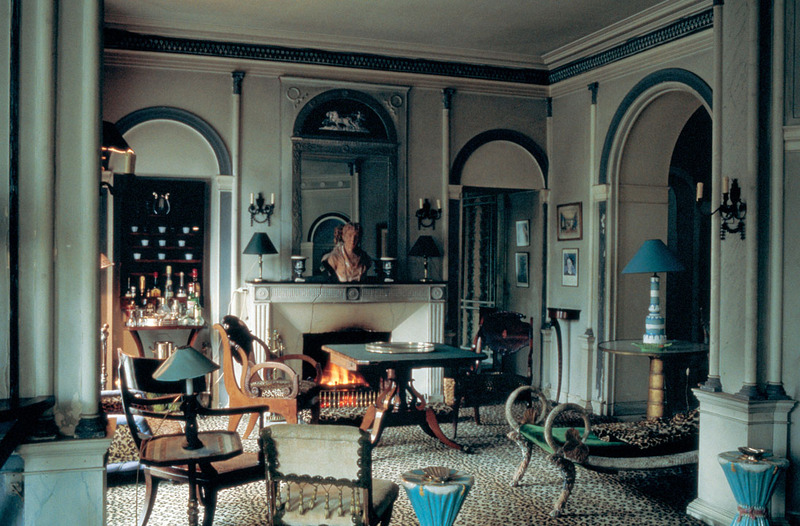 Glancing through the pages of the book, it's shocking to see that so many of her neoclassical rooms, her décor for her country house, Leves, and the Malmaison rooms, look current and bracingly fresh. Today she is the height of chic once more. 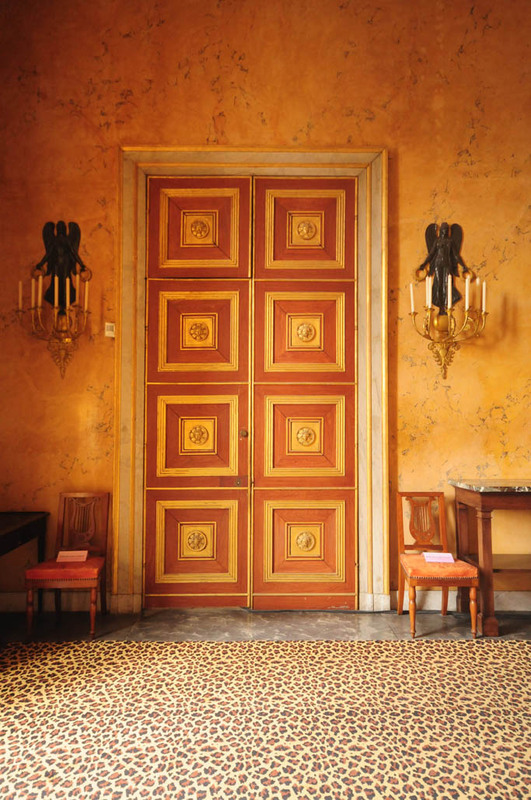 Her idiosyncratic design sensibility inspires young designers like Miles Redd in New York, as well as high-profile decorators like Michael Smith in Los Angeles, and Stephen Sills in New York, who choose her ocelot-patterned carpet. Chic young couples in Paris channel her eccentric mix of antiques and spike their rooms with Castaing’s floral stripe wallpaper, flat-pitched black lamp shades, and the neurasthenic little bamboo chairs and tables she favored. Fashion designer Christian Lacroix is among her greatest admirers. 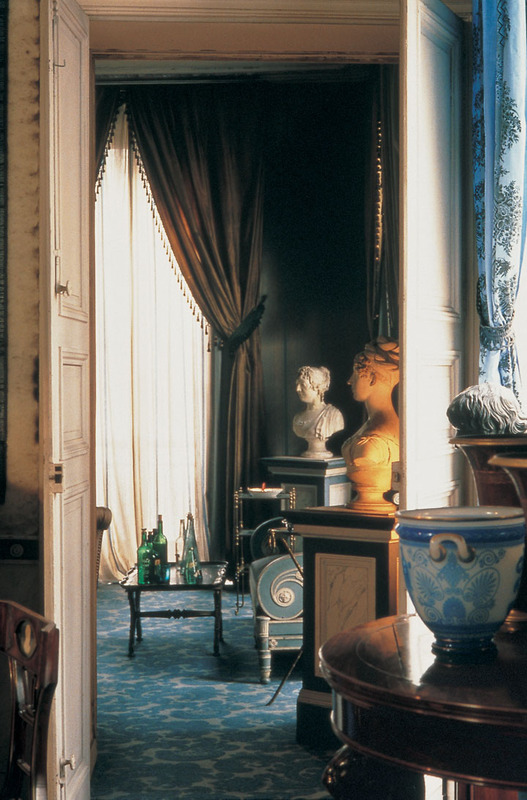 Castaing, whose iconic shop on the Left Bank was a must-see for a coterie of design fans, displayed there her passion for Veronese green, crimson, jade green, turquoise and shocking pink on walls and as accents. The result was a nervy combination of French history with an irreverent dash of kitsch. 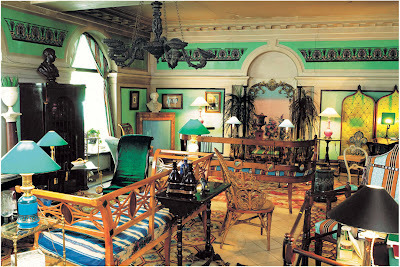 As she established her career as a decorator, working for clients like Jean Cocteau in the austere post-war forties and fifties, Castaing muscled her way through high-Victorian and Napoleon III styles, as well as richly gilded Russian and Swedish antiques and she was a trend-setter with Orientalism, Charles X and Biedermeier, which were also not at all fashionable in France at the time. 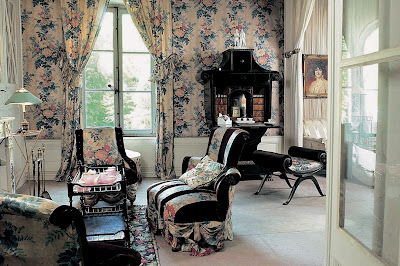 Castaing never did classical French interiors with de rigueur Louis XV and XVI furniture. She loved the confection of elaborate swagged curtains, banana-leaf patterned carpets, colorful Majolica ceramics, and eccentric pieces like her Napoleon III-era side chairs with gilded wood frames carved to resemble twisted rope. Emily Evans Eerdmans has captured her mythic décor and masterful use of color in archival images presenting Castaing’s work over five decades. Madeleine and her adoring husband Marcellin were key members of the artistic community of Montparnasse in the 1920s and 30s, and became patrons, fans, and friends with writers, musicians and artists. “Madeleine Castaing loved colorful ceramics, and collected lots of Majolica ware and late 19th century English pottery—at a time when it was not fashionable,” said Virtue. 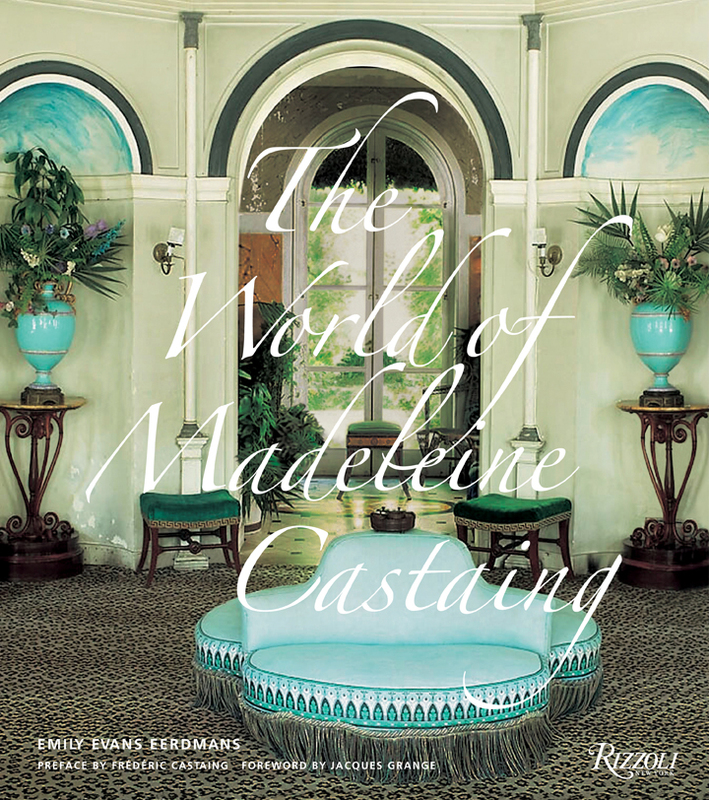 ‘The World of Madeleine Castaing’ by Emily Evans Eerdmans, with a Foreword by Jacques Grange and a Preface by Frederic Castaing, published by Rizzoli, October 2010. Chapters include Le Style Malmaison, A Universe Cocteau-Castaing, In Search of Lost Time (in reference to Proust), and highly detailed information and illustration on Leves, the chic and elegant country house on which Castaing lavished her design talents. There’s also a very useful and practical section on fabrics and carpets (many still available), and excellent close-ups of furniture details, trims, curtains and upholstery. All images published on THE STYLE SALONISTE are used with express permission by Rizzoli. She really was an amazing designer and interesting woman! I will seek out this book for more delicious images of her lovely work! Fascinating lady, like anyone not afraid of showing personality and making courageous choices. I remember a post on her private apartment above the antique shop or am I dreaming? I am going to search for it now. Brava Diane, always a great pleasure to see a new post from you appearing on my screen. This book is long over due..or perhaps it's right on time. Thanks for the post Diane! Well, Emily, you have had the ultimate compliment! Diane Saeks.......knows all.......about , well, pretty much ALL! Your book is fantastic beyond! As I told you; I wandered in there one day when my husband and girls were wandering around........(I asked the taxi to take us to the address( there were other things around for them to see......and I walked into the door as though it were a shrine! She was there! I talked to her for almost an hour. I didn't even try to buy anything........but I will never forget the things she told me. I also.....(without meaning to) have bought things that I saw in there........I didn't even realize that is where I saw them....until the auction....and your book! This is such an inspiriting post.........It is just absolutely beyond! As all of yours are! How lucky we all are that you decided to do a "blog"!! thank you from all of us......who worship at your knees! I tried to correct the spelling of inspirational.......and I couldn't! Help if you can! This book is my gift "to me" for Christmas this year. 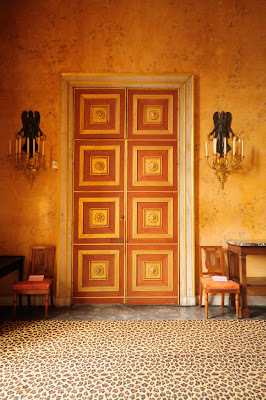 I love Castaing's choices of color; after studying the rooms in this post, I realize how happy I feel after spending time with them. The interplay of different energy levels makes everything joyful. Wonderful Post--thank you. I am so excited and will be at EEE's book signing on Friday night here in Kansas City! What a lovely tribute to this iconic designer and antique dealer. I still have the tear pages from a shelter magazine that published her apartment that now graces the cover of the book. And, I'm so tickled to know that the LaDuree that I visited this summer on the corner of Bonaparte and Rue du Jacob is where her famous shop was. And, I can now see you walking along with street on your way to work. Thank you for your insights into what is clearly the "must-have" book for Fall...and always. Such an intriguing woman and such eccentricity! Makes for a wonderful read. Thank you for bringing her back into focus. Diane great post and so excited about this book!! This looks fantastic. Can't wait to get it. Thanks for the sneak peek! She is my Queen! Enough said! She is the only woman who knows how to pull the whimsical taste in her interior so effortlessly. In a normal house, if you put a puppet or a broken papier mache doll in the corner, people think you are mad. But if Madeleine Castaing does it, it becomes a Bohemian interior! We don't have a similar personality in Britain like her. Well, maybe the late Dame Beryl Bainbridge! Great post! I am doing a series of blog post on the history of design and came across this post in my research. I will be be including a link to this article. Great pictures and great information.